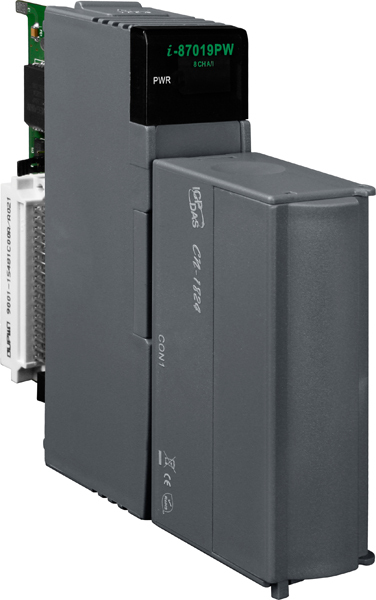 The I-87019PW is a 8-channel universal analog input module with an RS-485 interface that is a specially designed for extremely accurate thermocouple measurements and features automatic cold-junction compensation for each channel to ensure temperature output consistency and stable temperature outputs in the field. The innovative design of the enhanced model ensures that thermocouple measurements are more accurate than with the earlier designs. 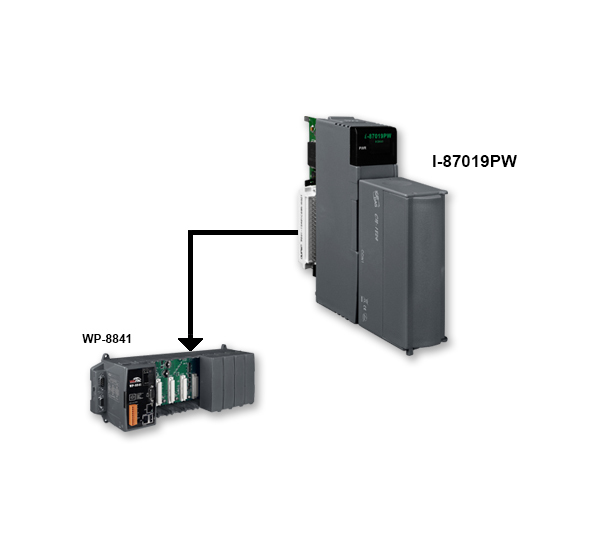 Besides the thermocouple inputs, the I-87019PW also supports voltage and current inputs. The voltage input range can be from +/-15 mV to +/-10 V, and the current input range can be either 4 ~ 20 mA, 0 ~ 20 mA, or +/- 20 mA. Up to 10 analog inputs of different types can be connected to a single module. 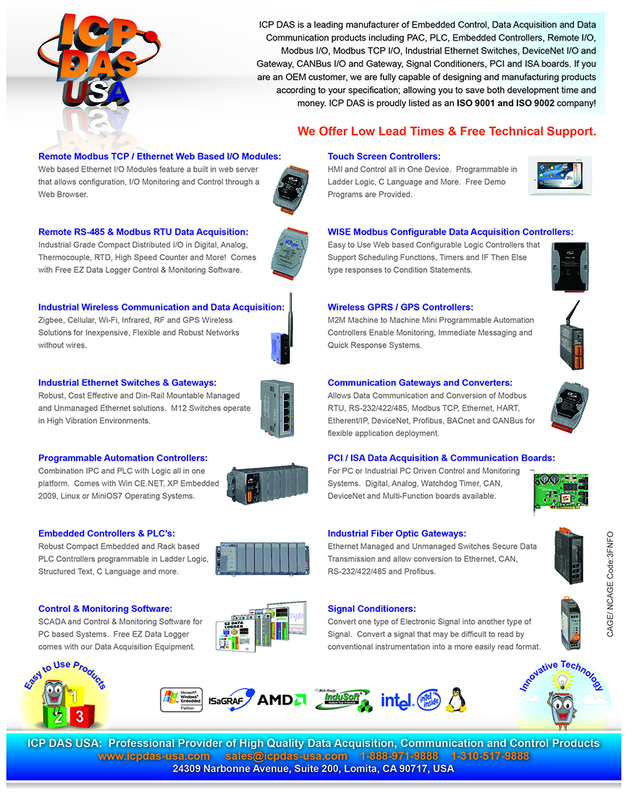 Overvoltage protection of up to 240 Vrms is provided. The module also features per-channel open wire detection for thermocouple and 4 ~ 20 mA inputs.